Old Crimsonwood Mountain maps still exist? Thread: Old Crimsonwood Mountain maps still exist? So I remembered that I had Cavern of Pain saved on my Hyper Tele from a while ago, and I tried to go there to see if it worked, and it did. I was able to leave Cavern of Pain, and it seems that all of the old crimsonwood mountain maps are accessible, but if you fall off lower ascent it takes you to the new Valley of Heroes 1. Re: Old Crimsonwood Mountain maps still exist? 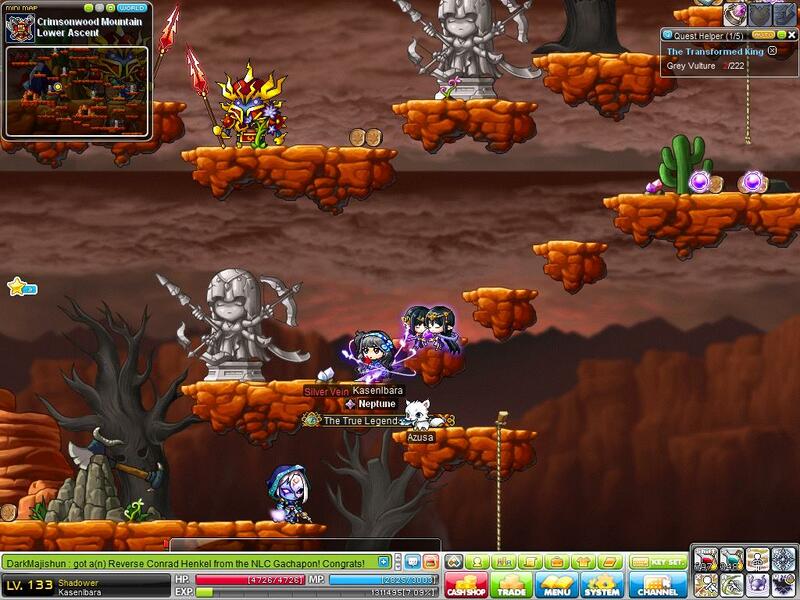 Nexon didn't remove the data for the maps but just made them inaccessible. Somewhat like what they did with event maps such as Happyville, I suppose. 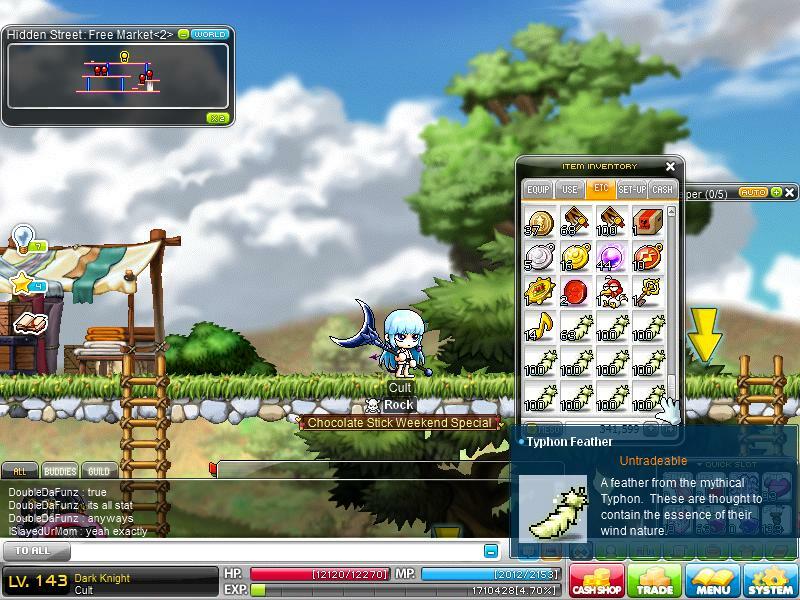 Farm as many typhon feathers as you can and sell them as service. You will make so much money. I've never sold a single one. Yeah, the entrances are removed, though. :/ It's just like that HHG2 map some guy found on Basil via Hyper Teleport Rocks, IIRC? Even IF anyone wants them. You cant sell it anyway. (But I bet you got that already). I'm now wondering if people really shell out 40k nx for clean arcglaives, wouldn't hurt to try, I only need 200 more crimsonwoods anyways. Well, I'd trade 1 set of Balanced Furies for 100 BCs + mesos, probably (and the other stuff they require - 3 taos and 5 dex crystals or something?). But yeah it's not convenient to sell them at all.